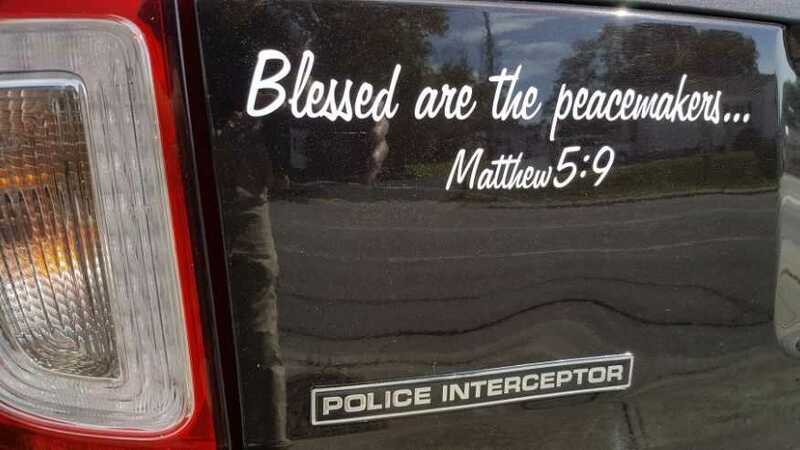 CHRISTIANSBURG, Va. — A sheriff in Virginia has been instructed to remove decals bearing the words of Christ from patrol cars in the midst of an inquiry and complaints from two church-state separation groups. However, the American Civil Liberties Union (ACLU) of Virginia and the Wisconsin-based Freedom From Religion Foundation (FFRF) soon complained about the stickers, claiming that they violated the separation of Church and State. After receiving an inquiry from the Roanoke Times, the Board of Supervisors looked into the issue and also consulted with County Attorney Marty McMahon. In deciding that the decals could pose a legal issue, they sent a request to Sheriff C.H. Partin to remove the Scripture from patrol cars. Partin agreed to remove the decals, stating that he doesn’t want them to be a distraction.